HOW BIG IS YOUR HEAVENLY FATHER TO YOU? May our GREAT BIG WONDERFUL GOD touch your heart as you read and digest what I pray are inspired and encouraging words that will help increase your faith and enable you to see your heavenly Father BIGGER than ever. I’m hoping they will do the same for me. By the way, if you have not read the September FRUIT OF D’VINE, please do so, because it focuses on JESUS as the perfect image of the invisible God, and goes hand-in-hand with what I will share here. Those who took 20 minutes to read it loved it. The “bottom line” of life is whether God is who He says He is and who Jesus is, and whether His promises are (a) relevant, and (b) true. Sure, I know you know that, but the next-to-the-bottom line is whether you and I believe what God says about Himself, and what He says about us, to the end that we act accordingly. It is our faith, or lack of it, that either enables or hinders God to be who He is for us and do what He longs to do for us. What is “faith”? It is trust, and, by definition, trust requires an object. Obviously, the object of our trust is GOD and His promises, the greatest of which is Jesus. I assert that the root of human sin is a faulty picture of God. Biblically, “sin” is disobeying God, that is, deciding that my way is better than His way. What is that but a lack of trust in Him to “have your back” and take better care of you than you can? 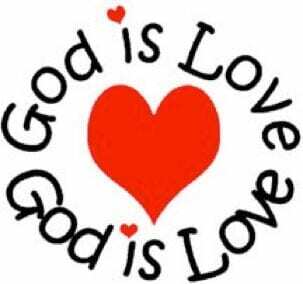 Think about it: if GOD IS LOVE, what would please Him? Being able to lavishly GIVE to those He loves! OK, see if you think Satan also figured out the following: if people do not believe that God is a rewarder of those who diligently seek Him, they won’t diligently seek Him, and if they don’t seek Him, they won’t find Him or His blessings. Duh. How successful has Satan been in distorting people’s picture of the heart and character of God? INCREDIBLY SUCCESSFUL. The vast majority of mankind, including the vast majority of Christians, believe that God is ultimately responsible for all that happens, and that is all somehow part of His plan. And that is why so many people are mad at God. Meanwhile, most Christians blithely and blindly spout such insane euphemisms as “God called Bob home” when in reality Bob did not bob and was run down by a speeding cement truck. Unlike the majority of people on earth, most readers of this letter are convinced from Scripture that God is not responsible for any evil, sin, or human suffering. But the quality of our Christian life is directly proportional to the degree to which we are absolutely convinced that God is both ABLE and WILLING to help us, and that He is constantly doing everything He can to benefit us. And so I ask, HOW BIG IS GOD TO YOU? Did the word “magnify” just come tumbling into your mind? And did some Bible verses with that word in them follow? I hope so. When we magnify God, He looks bigger to us. Here we see vital keys to magnifying God: praising and exalting His Name and constantly giving thanks to Him. That comes easy when we focus on WHO HE IS, as He Himself declared when for the first time He defined His Name, Yahweh: “the compassionate and gracious God, slow to anger, abounding in love and faithfulness, maintaining love to thousands, and forgiving wickedness, rebellion and sin” (Exod. 34:6 and 7). Focusing on the attributes of our Father magnifies Him to us. Remember that it was David who wrote those faith-filled words in Psalms, the same David who, as a teenager, felled the mighty Goliath (1 Sam. 17). When he came from home to bring food to his brothers in the army, David saw and heard for the first time the same terrifying giant they had been looking at and listening to for days. Why the stark difference in how the army dealt with Goliath and how David did? Because the Israelites had compared Goliath to themselves, he looked gigantic and unbeatable, and they ran away from him. But David compared Goliath to GOD, the GOD he knew was both willing and able, and the giant then looked like a runt, so David ran toward him with great anticipation of victory with GOD. That tells us that David saw God as REALLY BIG. And that is because by obeying Him, David had given God many opportunities to prove Himself faithful. Think about this: the bigger the problem/challenge/emergency we face, the greater the opportunity for God and the Lord to show their stuff. Because they are bigger than anything we could encounter, the worse things are, the more we get to trust them! We could think: “I am so excited to see how God is going to work in this hopeless situation!” Part of developing that mindset is being convinced of how much God and the Lord love to help you, heal you, provide for you, surprise you, and astound you with their meticulous love for you. Well, how much do you like to do that for the love of your life? So multiply that by a zillion, and you’ll have an inkling of God’s boundless love for you. In order to walk fruitfully through this twisted, traumatic, terrifying world, there is a corresponding question you must also ask, and answer biblically, and that is HOW BIG ARE YOU TO GOD? That is, how important are you to Him and the Lord? How much attention are they paying to you, and to your prayers? Are they really doing all they can for you? Again, the Devil works relentlessly to impugn God’s character so as to skew your perspective of Him, because if he can do so even a little, it dilutes your faith. When I sat down to write the first draft of this letter, I first looked up, raised my hands to God and the Lord, and prayed for wisdom and insight about how to most effectually edify you. As I looked up, I thought about God and Christ looking down at me (sometimes I wave—well, don’t you? ), and what came to my mind was “Google Earth,” which is a computer program with detailed satellite photos of virtually the whole world. You can target your neighborhood and zoom right in on your house. Isn’t that how God sees things from His vantage point? And what does God see when He looks upon this terrestrial ball? He sees perhaps hundreds of thousands of people who are totally committed to evil (2 Pet. 2:10–12, et al.) and who are leaving behind them a devilish wake of destruction as they run toward their own eventual annihilation. He also sees millions of lost-in-space, out-of-control, sometimes demonized unbelievers careening around on the planet. He also sees tens of millions of fairly harmless folks who have never heard enough truth to make a commitment to Christ but who are trying to be “good” people. He also sees half of humanity (several billion) caught up in false religious systems. He also sees millions of Christians, most of whom are sincere in their faith but somewhat hampered by wrong doctrine they have been taught. And God sees YOU, the only you He has, as you endeavor to serve Him. And He can really zoom in on you, right into the thoughts and intents of your heart. In my teaching titled “God’s Foreknowledge and Man’s Free Will”, I talk about one author’s analogy of the cosmos being like 6 billion free agents throwing rocks into a pond. * Each decision you or anyone else makes creates ripples that go out beyond the point of the original decision, and those ripples overlap with the ripples created by other people’s choices. The bigger the “rock,” the larger and more far-reaching are the ripples it creates. The choices we make, both good and bad, affect other people in ways we will never know. Knowing that we have genuine free will magnifies the importance of making right choices. Obviously, the matrix of overlapping ripples produces mathematical complexities that are incomprehensibly complicated, and to realize that our great big wonderful God can and does sort through them to answer our prayers magnifies His greatness. Although we will never begin to grasp the causal chain that lies behind each event, good or bad, we can know that our God and Father is at work in situations beyond our scope doing all He can to eventually bring good to us. Understanding what the Word of God says about the “open” nature of the future (the part that is to be determined by the free will choices of people) and about His foreknowledge, which is not absolute in the “classical,” and erroneous, sense, makes Him look much BIGGER, not smaller. It magnifies His infinite resourcefulness and His personal involvement in our lives. As Greg Boyd writes: “It takes a greater God to steer a world populated with free agents than it does to steer a world of pre-programmed automatons.” I heartily encourage you to listen to the above-mentioned teaching, for it has revolutionized my own perspective of God (and my prayer life) as well as that of many who have heard it. In closing, let us focus on God’s MAGNITUDE relative to Satan’s all-out attack on the world’s economy today, which is specifically designed to cripple Christians financially and stop us from spreading the Gospel. No doubt you, like I, know too many Christians who are out of work and/or beset by financial problems. Perhaps you are among them. I pray that the following scriptures from God’s heart to yours will enlarge your faith by enlarging your perspective of your heavenly Father. First, how does God want us to relate to material things? (7) For we brought nothing into the world, and we can take nothing out of it. (8) But if we have food and clothing, we will be content [arkeo=to ward off, defend, have unfailing strength”] with that. (9) People who want to get rich fall into temptation and a trap and into many foolish and harmful desires that plunge men into ruin and destruction. (10) For the love of money is a root of all kinds of evil. Some people, eager for money, have wandered from the faith and pierced themselves with many griefs. There is nothing wrong with wanting to be “rich” IF your goal is to use your resources to help people know the Lord Jesus. It is all a matter of the posture of your heart and your priorities. In the following verses, look closely at the last verse. (1) And now, brothers, we want you to know about the grace that God has given the Macedonian churches. (2) Out of the most severe trial, their overflowing joy and their extreme poverty welled up in rich generosity. (5) And they did not do as we expected, but they gave themselves first to the Lord and then to us in keeping with God’s will. You probably know Philippians 4:19: “And my God will meet all your needs according to his glorious riches in Christ Jesus” (NIV). Read verses 10-18 that set the context, and you will see that God made this promise based upon how the Philippians had faithfully shared with Paul. Their having a passion to give enabled God to give to them so they could give more. (7) “But blessed is the man who trusts in the LORD, whose confidence is in him.